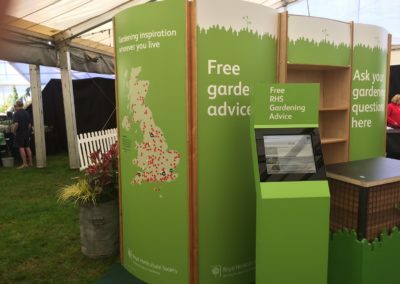 Slimline Kiosk with premium branding space. 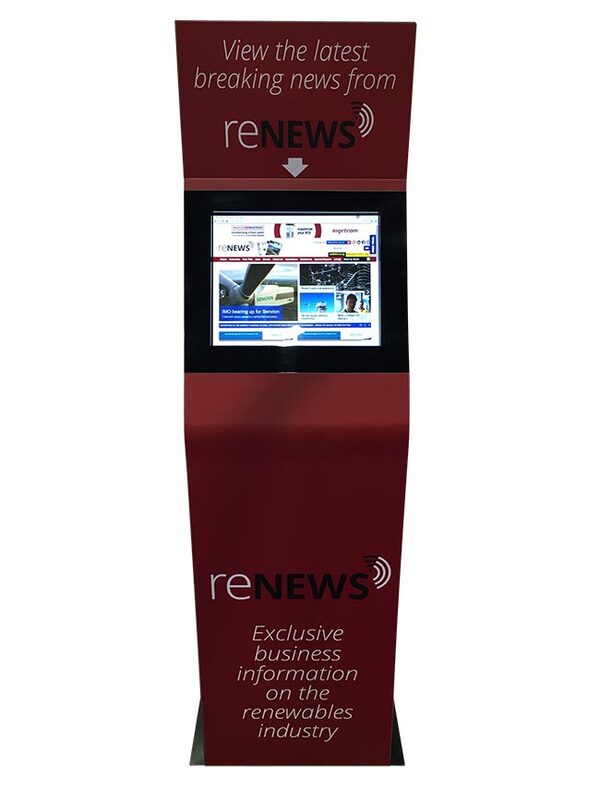 If you’re looking for a touchscreen kiosk rental the Slimline Kiosk is the perfect choice. 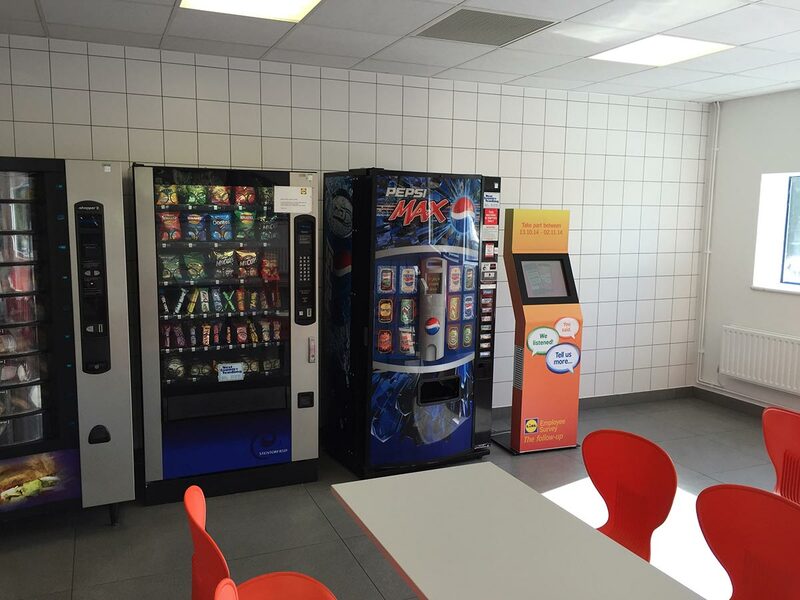 The Slimline Kiosk has a sleek, modern design, with premium branding space. 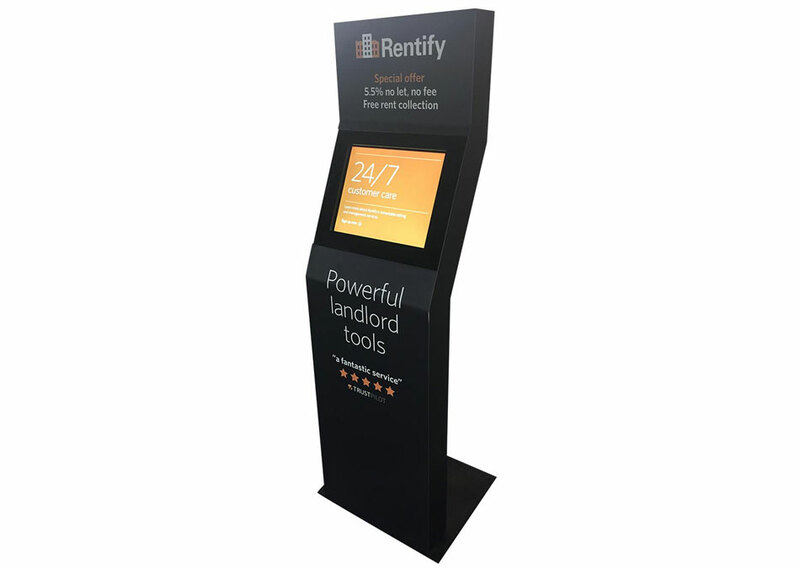 The Slimline Kiosk can be fully branded with your branding for your touchscreen kiosk rental. We can design the artwork or send you the cutter guide so you can create your own. The Slimline Kiosk is a stand-alone unit, which is robust and durable. 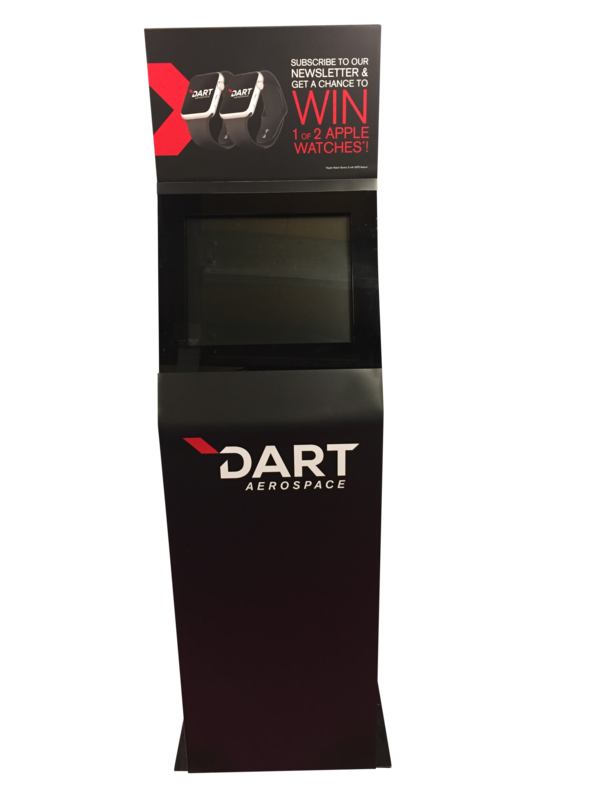 It makes it the ideal touchscreen kiosk rental for retail locations and marketing campaigns. 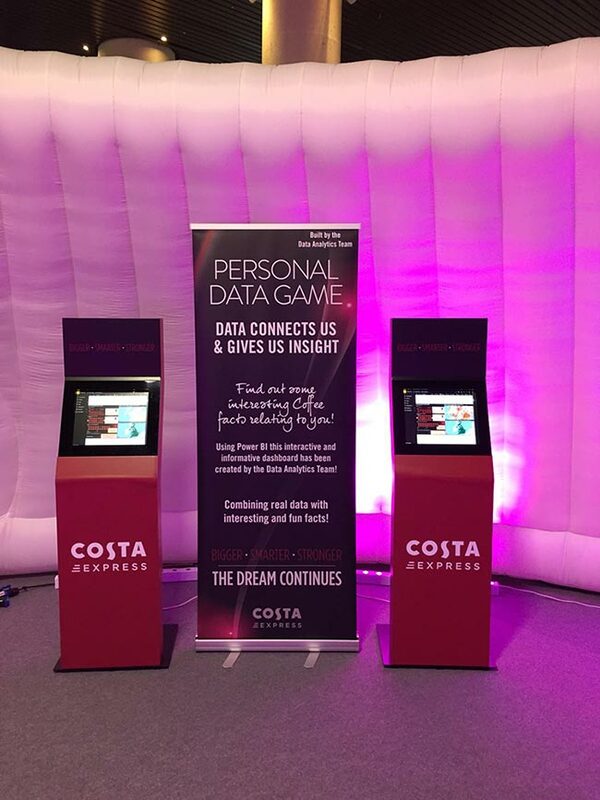 The Slimline Kiosk can be used for brand engagement and interactive experiences. 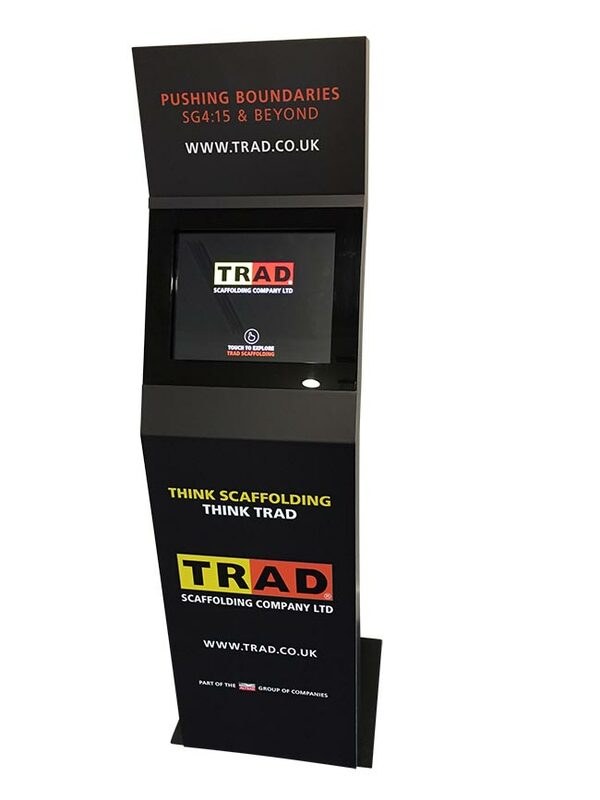 It’s also a popular touchscreen kiosk rental for surveys, quizzes and data capture. It has an integrated webcam, so it can be used for video feedback and other video applications. 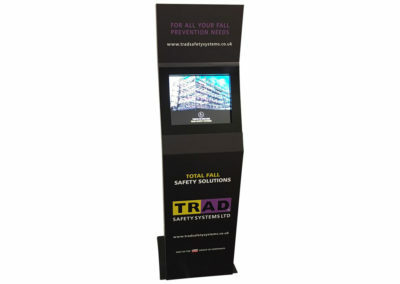 The Slimline Kiosk is the ideal touchscreen kiosk rental for large scale projects. 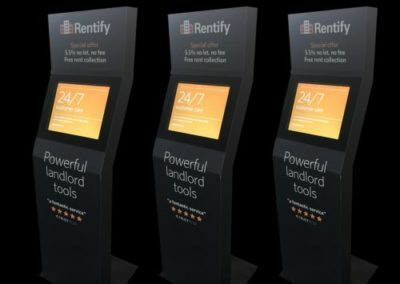 With the largest touchscreen kiosk rental stock in the UK, we can provide multiple touchscreen kiosks for different locations across Europe. We set-up and test your software. 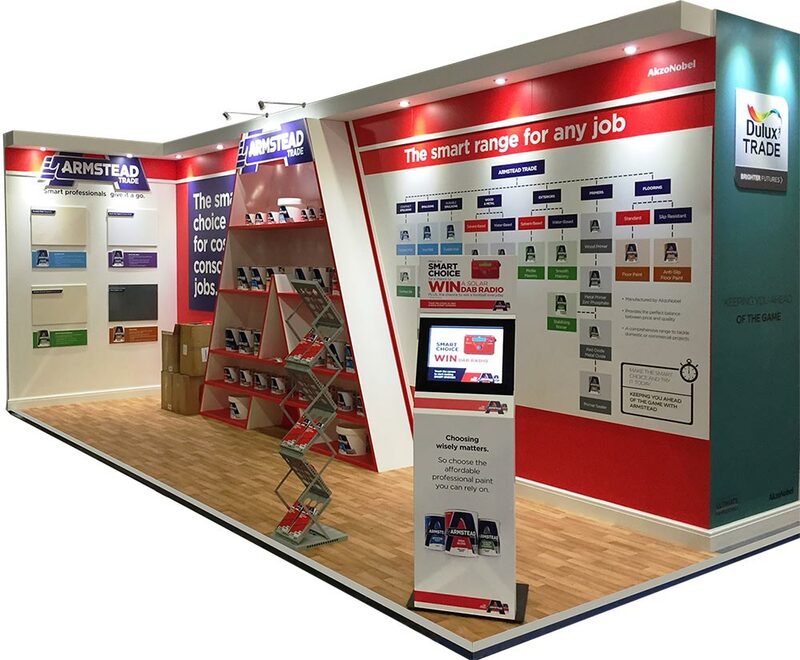 We organise and apply your branding. 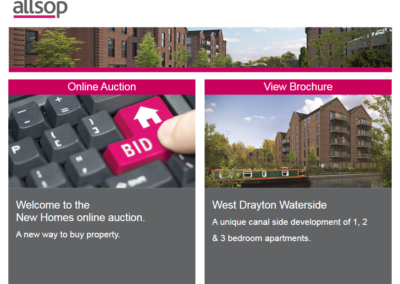 We deliver and set-up onsite. 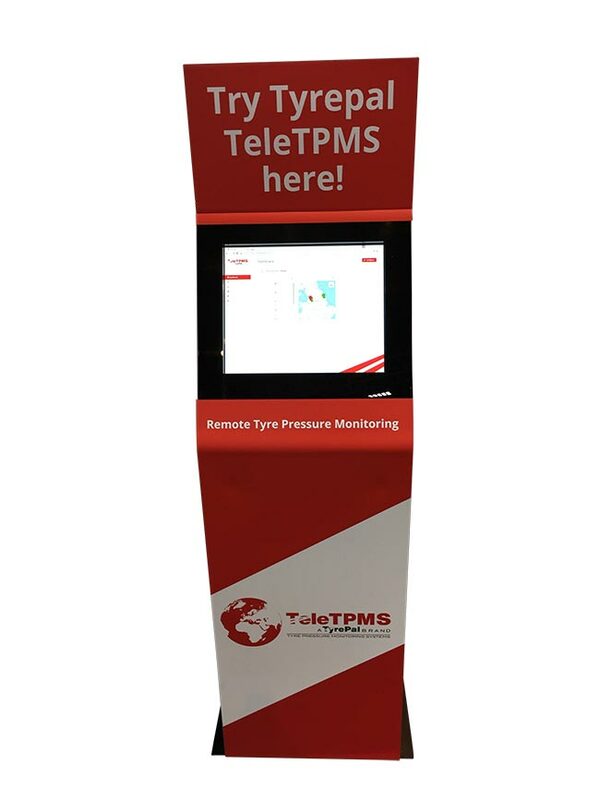 We remote monitor your touchscreen kiosks and provide support throughout the duration of your touchscreen kiosk rental. 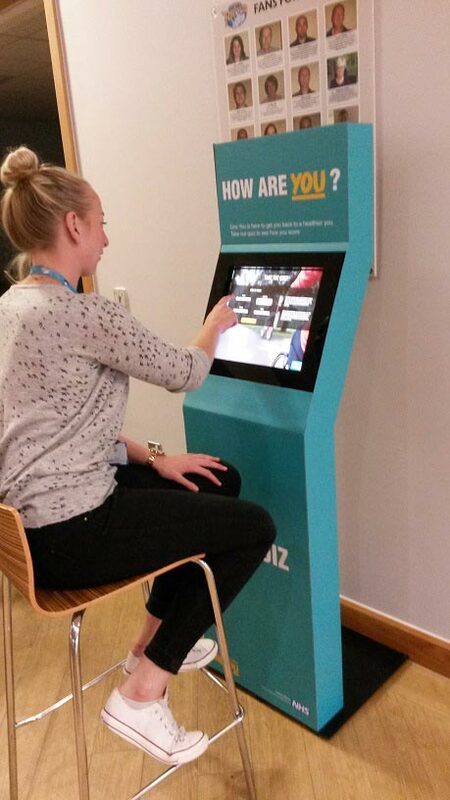 At the end of the project we collect your touchscreen kiosks and provide comprehensive usage statistics. 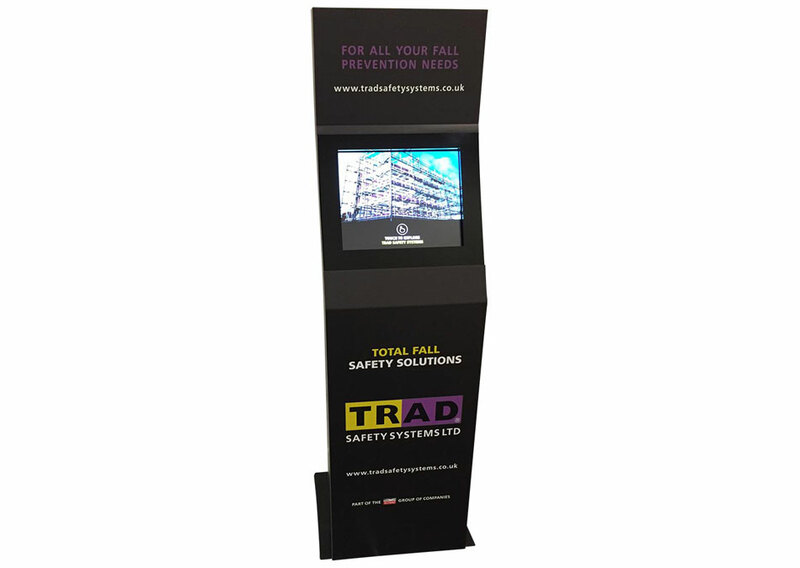 All this means every element of your touchscreen kiosk rental is meticulously managed by us. 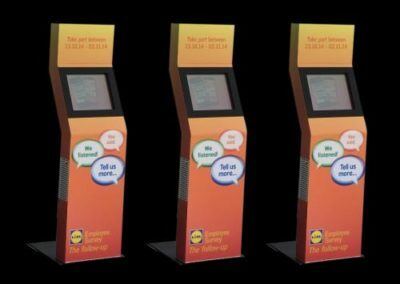 We are touchscreen kiosk rental experts. It’s what we do best. 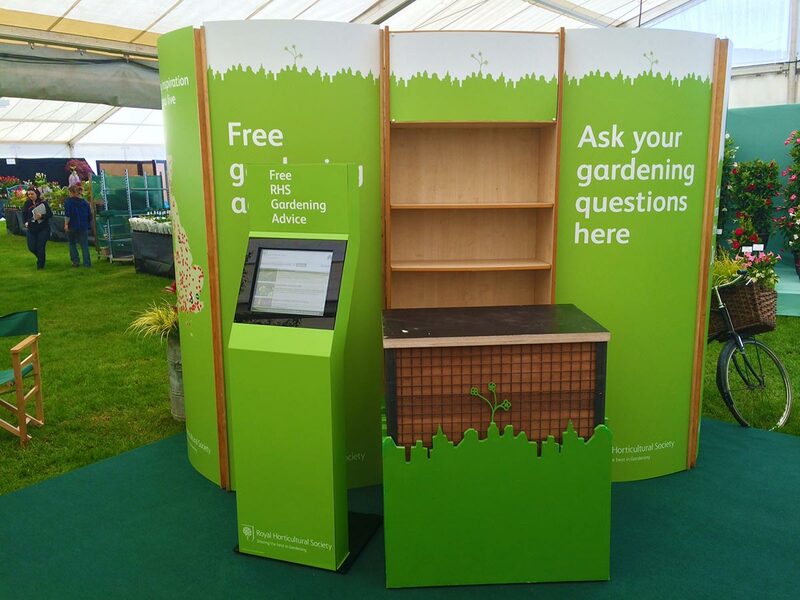 As well as large-scale touchscreen kiosk rental projects, we offer the Slimline Kiosk for smaller projects too. With its premium branding space, it’s a great touchscreen kiosk rental for events. 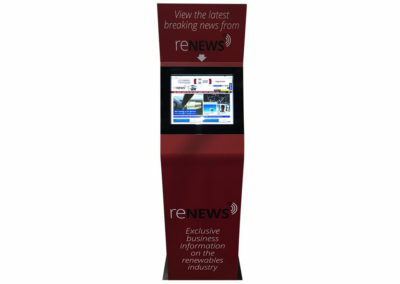 It’s also often used as a touchscreen kiosk rental for exhibition stands. 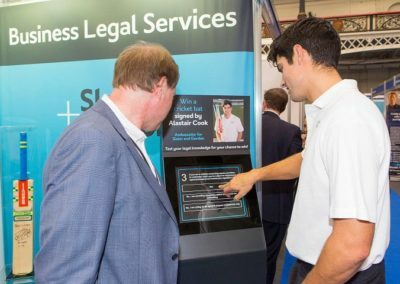 The Slimline Kiosk has a sensitive projective capacitive touchscreen, meaning users get the best touch experience for your touchscreen kiosk rental. The touchscreen is dual-touch. 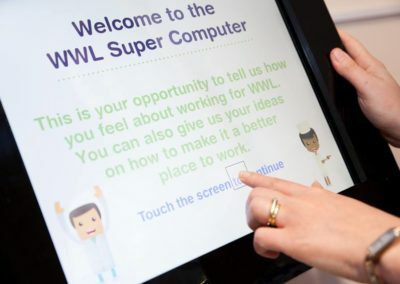 This enables users to use multi-touch gestures such as drag and drop, swipe and pinch and zoom. 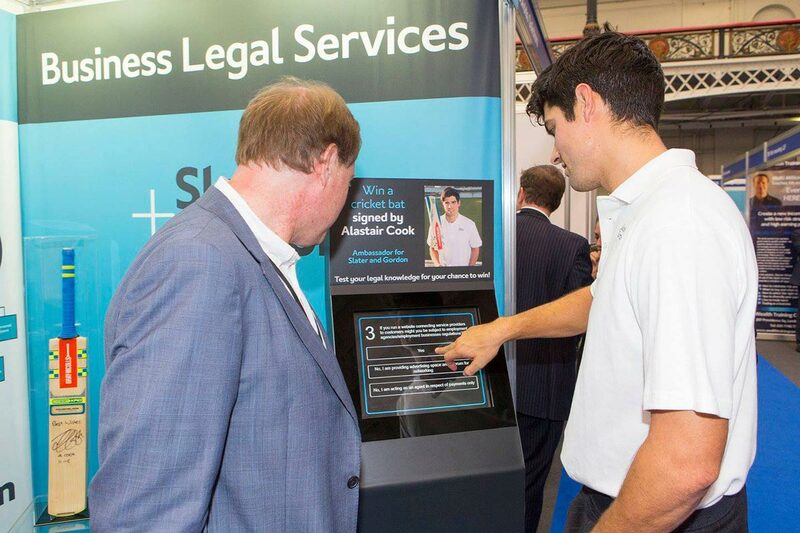 The Slimline Kiosk has an internal Windows 10 PC. 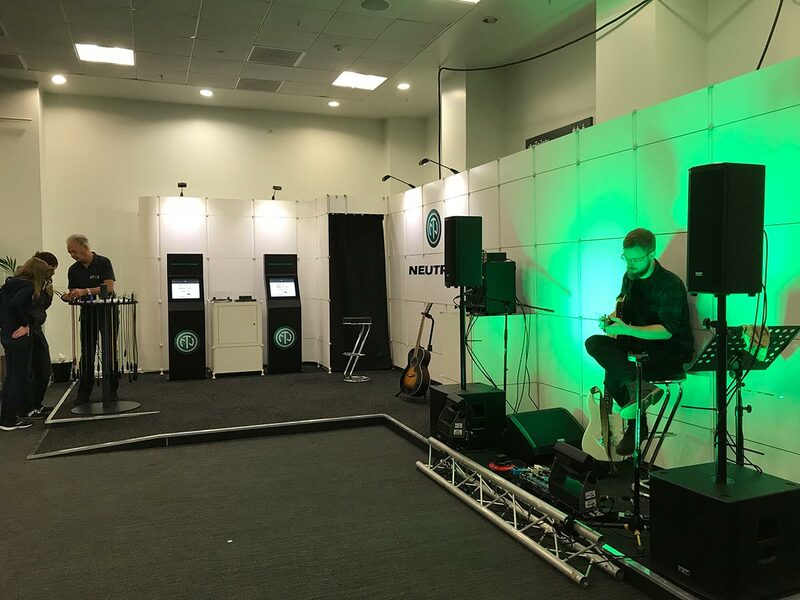 Simply plug in the Slimlime Kiosk and it automatically starts, ensuring your touchscreen kiosk rental is as easy as possible. 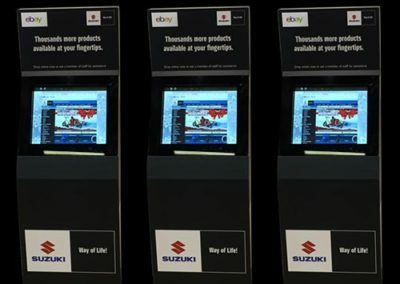 If you need to connect to the internet for your touchscreen kiosk rental, you can connect via WiFi or a wired Ethernet connection.